The Chinese New Year celebrations are finally over. How time flies! I will miss my favourite yee sang. 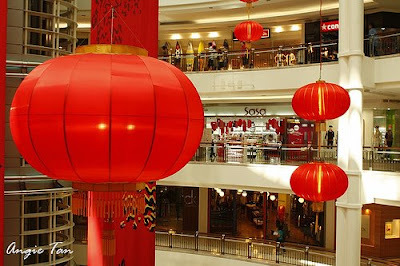 I will also miss those Chinese lanterns and decorations that adorned most shopping malls in the country. 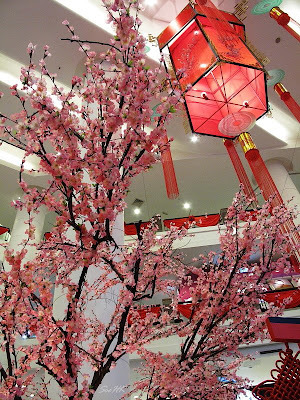 Today, I would like to post some photos of the CNY decorations in shopping malls in the Klang Valley. I have taken most of the photos from other blogs as their photos are of better quality compared to the ones I took using my SE C902. Do visit their blogs for more great looking photos! Look at this decoration put up by 1Utama. I didn't quite like it. Looks a little empty to me. The idea may be good, but I felt something is missing. What do you think? The decorations at Berjaya Times Square look slightly better. This bull outside Pavilion must have attracted a lot of attention! 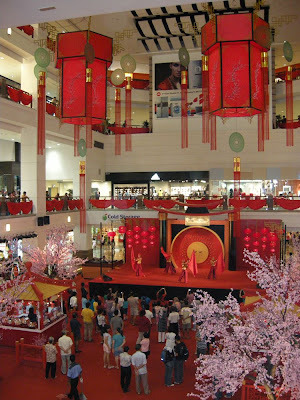 I really think that the CNY decoration at The Curve this year was quite ridiculous! 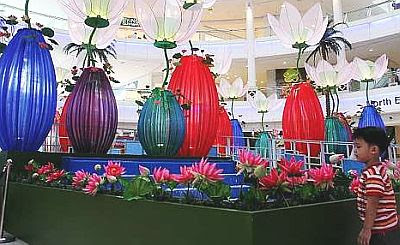 Maybe they were trying to showcase the lotus flower, but to me, the whole thing just look horrible! This is the decoration put up at KLCC. Those people at KLCC seem to like everything either tall or large. I still remember they have one of the tallest Christmas tree during Christmas last year. For this Chinese New Year, I think they have one of the largest lantern in KL. I can't quite make out what this decoration in Sunway Pyramid is all about. Can you? I always feel that The Gardens have quite 'classy' decoration. I particularly liked their Christmas decorations last year. And for this Chinese New Year, they did not disappoint. After looking at all those decorations put up by various shopping malls, I think the best must be at Mid Valley Megamall! 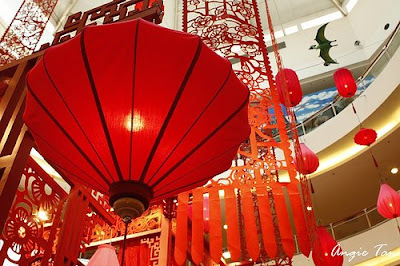 Their numerous lanterns of all shapes and sizes really put me in the CNY mood. Don't you agree? 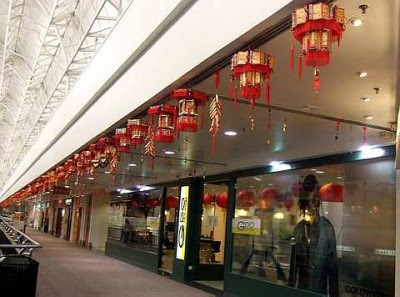 I like these angpow lanterns hanging from the ceilings of Subang Parade. Yes, they were made from angpows! I didn't know you can buy those lanterns! According to The Star Online, you can actually buy them for RM100 a pair as a form of donation to charity organisations. 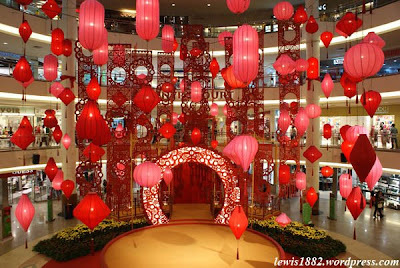 I would have donated RM100 just to get those beautiful lanterns if I had read about this before CNY! Look at these lanterns made entirely from angpows! Aren't they beautiful? I wonder who is that person who came out with these lanterns? He or she must be a creative genius! Does anyone know where I can buy these angpow lanterns? Or at least teach me how to make them? 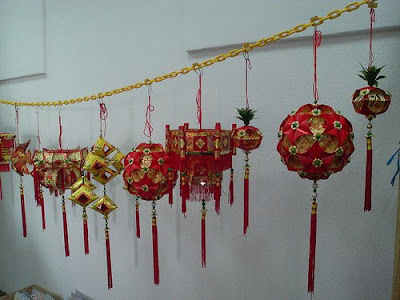 I hope I will be able to display them for next year's Chinese New Year! Can't remember who...but somebody went and took the photo of the bull's you-know-what!!! So naughty! LOL!! !...So nice, all those decor, but in a way, shops pay high rent - sell things at higher prices, so actually customers paying for all that!!! Thanks for using my photos. Chinese lanterns are evergreen don't you think? And the red is really pretty. love the one in MV the most. yeah the curve one looked like total disaster. no theme at all! Those lanterns are stunning!Actually it is all so exquisite and I would like to come there to see the decorations for Chinese New Year some day. Full of color and just beautiful! i'm so sorry.. i was da one who deleted the above comment by ME.. coz got typo error in it..
thanx for using my pic.. it's my pleasure.. blogging is for sharing.. n i love ur blog! can i add ur link? My favorite is the bull picture too! 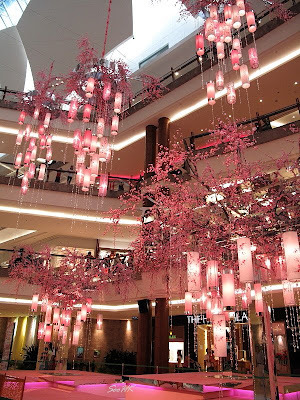 Mid Valley Megamall shows a really beautiful decoration there! Wow that looks wonderful and detailed. Like it too! Oh the ox is also cool. suituapui, really? I would like to see that photo. Haha! 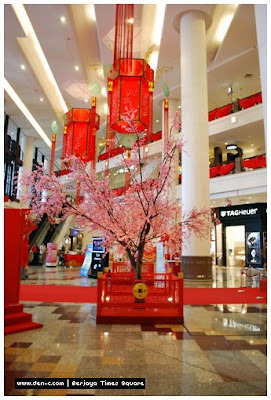 Yes, some of the decorations very expensive, I heard some shopping malls spent over RM1 million for the CNY decorations! 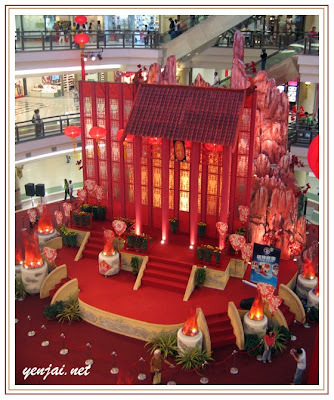 shionge, I thought Singapore's CNY deco would be just as good if not better? Maybe it's the economy? But I have to say Singapore's Christmas trees and decos are just so much nicer than Malaysia's. You forgot how to make those angpow lanterns? What a pity! thanks for sharing the pics. the angpow lanterns look unique in a way. Yes, Foong. Initially, I didn't wan to use my real name for personal reasons. Wow, how pretty! Gorgeous photos. As always, I really appreciate the comments you leave at my place. Thanks! 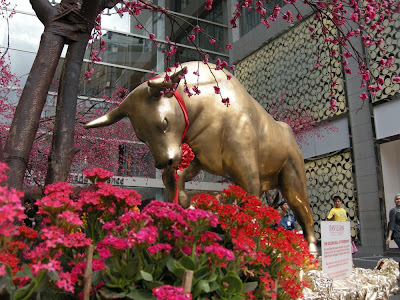 Hello my friend, you are lucky to live in KL whereby you have so many beautiful CNY decorations around. BTW, you had been tagged. Wah I missed so many posts! my friend said it is easy to make those angpow lanters but i never got it right. sigh. Wow, wow, wow, wow, wow, WOW!! I love the photos with the tree with the pink flowers (I can't remember the name of it!!)! I want to walk in shopping malls like this :D!! nick phillips, I thought you always go shopping with your wife - surely you would have seen most of the decorations, no? Nicely captured photos! You've been to almost all shopping complexes i must say.. I like the Mid Valley's deco the most tho. But their Christmas's deco was quite bad last year..
horizon, I agree MidValley's CNY deco is good, and their Christmas deco last year was not good, yet they still won the award for the best Christmas deco! The award should have been given to The Curve!